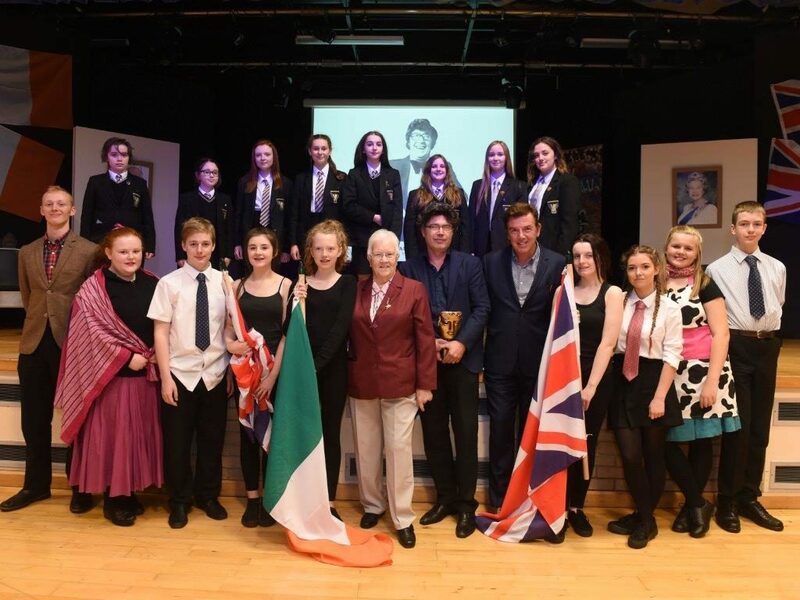 Mrs Kinley and her talented drama department put on a showcase of The Evolution of Integration in Hazelwood Integrated College on Thursday 22nd September as part of the Carson Awards organised by the Integrated Education Fund. Mrs Kinley along with Mr Wright, Mrs Walker and script writer Dr Blaney (pictured with his BAFTA award) were delighted to receive glowing feedback from the IEF. Gemma Hill from the IEF commented: “Thanks for coming yesterday and being part of a very successful event. I have had positive feedback on the showcase and everyone enjoyed the drama and dance by Brownlow. Very very talented pupils”.